I have a new obsession with christmas decorations this year, its gotten quite bad, after the amount of decorations I bought this year haha! But theres still quite a few I still have my eye on! You may notice that theres quite a few Fawn's/Deer's in my collection here, I think I've been inspired by Zoella this year. My favourite has to be the Silver Glitter Deer from M&S. Also from M&S is the Glittering Pink Stag Bauble I love the detail in this and the pink tree! My final Deer pick is from Paperchase in the form of this Glittery Gold Hanging Deer Decoration, which has sadly disappeared from the website. M&S is a very popular place for decorations this year, as well as fuelling the deer obsession, it also helps the rose gold one! I love this Rose Gold Wire Bauble, as well as loving the Glass Flower Bauble too! M&S is doing good this year! More high end loves and definitely on the Wishlist is this amazing Glass Champagne Bauble from Harrods, the colours in it are amazing, the rose and yellow shades, I just love it! Each one is probably so unique too. 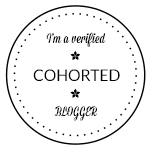 You might remember a decoration I got last year, if you've read last years Blogmas. From Next a reindeer from Rufus! Well this year Next have brought out his friend, Morris the Moose! The Next decorations are lovely every year, but Morris just pulls on the heart strings! Two of my favourite places to pick up decorations this year have been Ikea and Primark, Not usually places I'd think of for Christmas decorations but they're really good this year! From Ikea I love the Bird Cage Decorations, they're intricate, but simple and look lovely. 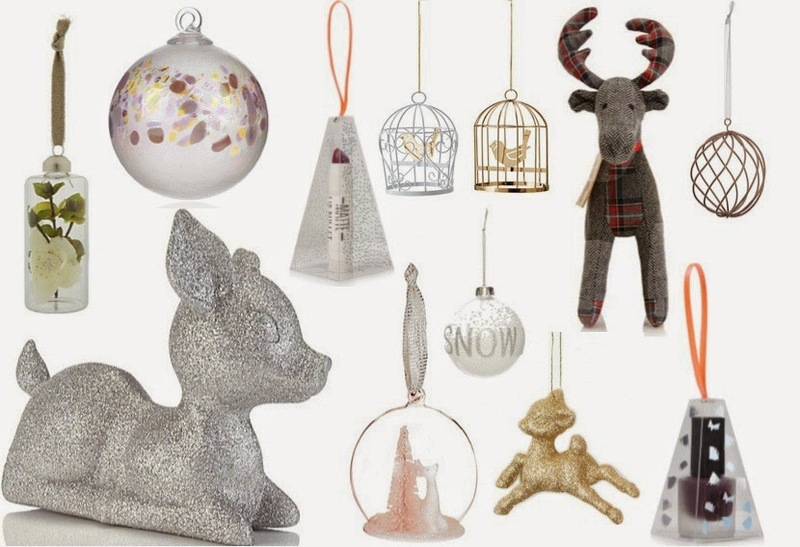 I love the Snow Baubles by Primark, Ive seen quite a few decorations like these and they can be very expensive. For a set of four, these Primark versions are fantastic! Finally If you've seen my 'Whats on My Christmas Tree?' Post, you may of noticed the Topshop obsession that has exploded on it. Topshop do such lovely make up decorations every year and they're also like little extra presents to yourself too! Plus its Make up so I just can't help myself! Ive still got my eye on the Lip Bullet Decoration in Get Me Bodied and the Nail Polish Decoration in Brutal. This has made me want to go and get a load of new decorations that I'm sure I don't need! they're so lovely! M & S always surprise me with their decorations, I got some lovely ones last year. Oops... Sorry! I wouldn't think of M&S For decorations but they're fantastic, me and my mum always pick up a few every year! I can't believe they're from Ikea, They've got so many lovely decorations this year! I will definitely be going back to ikea again next year too for decorations, they're so nice! I love the simplicity of the snow one!